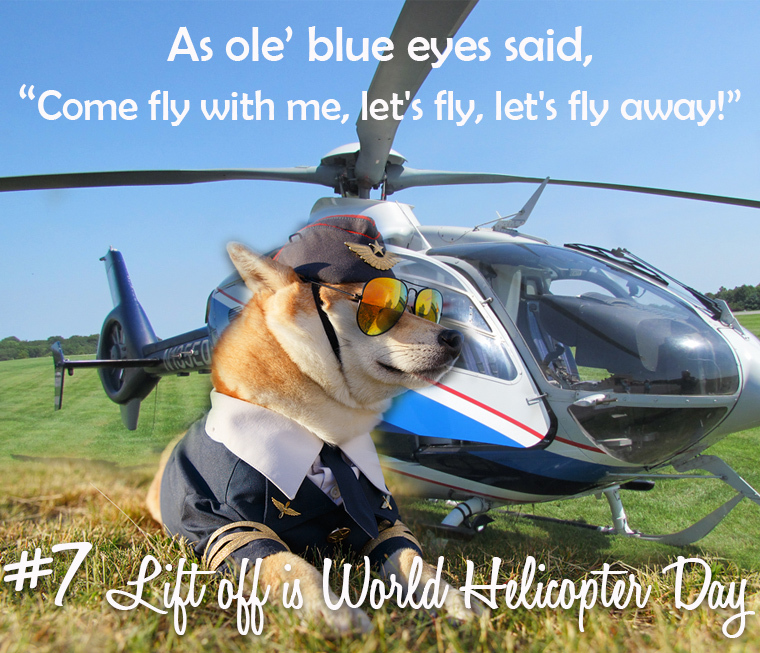 If you're a Frank Sinatra lover, Click Here to Listen to Sinatra sing "Come Fly With Me"
Don a pair of cool shades and get a true bird's eye view of the Brandywine Valley at this year's World Helicopter Day (WHD) which lands Sunday, August 19th at the American Helicopter Museum. 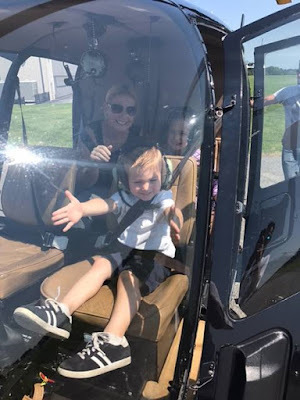 This AHMEC event offers everyone a chance to fly in a helicopter -- and to be part of something celebrated around the world! Helicopter rides cost $60.00 per person and each rider must sit in his/her own seat with a seat-belt fastened. No riders are permitted to sit on another's lap. There is no minimum or maximum age requirement for riders; however, if a rider is under 12-years-old, he/she must be accompanied on the ride by a parent or guardian. Rides last 5 minutes, or approximately 7 minutes with loading/unloading. 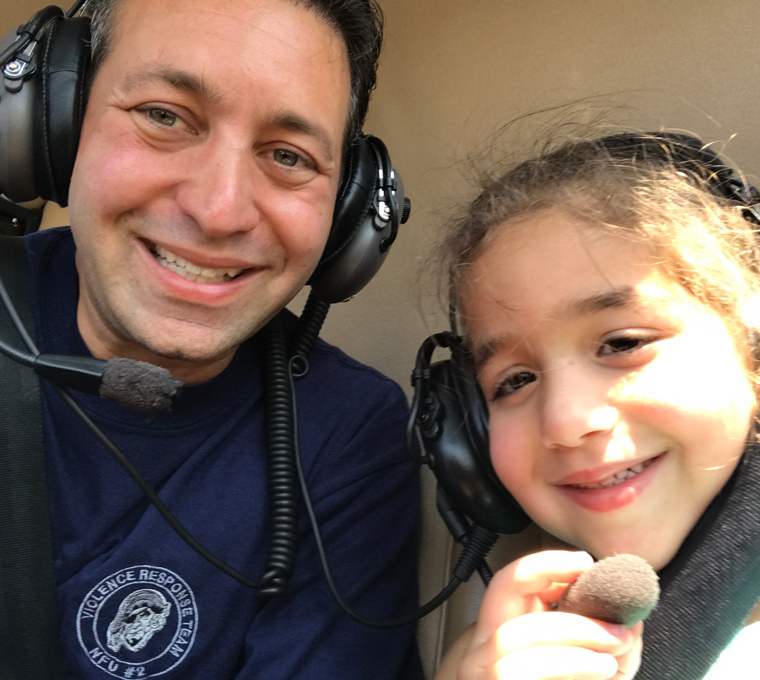 Scott S. sent the Museum this adorable pic of him with his daughter, Silvia, aboard the helicopter. An Enstrom F28A and more! FLIGHTS BEGIN AT: 12:30pm -- GET TICKETS ONLINE NOW!